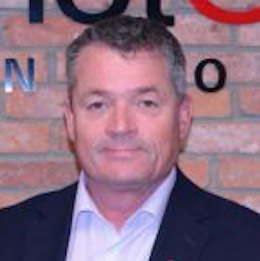 ARTICLE: Knives off the streets - Patriot One Technologies Inc.
Last year saw a huge rise in the number of people killed in knife attacks across the UK, writes Martin Cronin, pictured, CEO of Patriot One, a Canadian threat detection product company. The death toll reached one of the highest in ten years, with an incident involving a blade or sharp object taking place every 14 minutes. Even more concerningly, over 35 of the victims stabbed to death in 2018 were children. There can be no disputing that knife crime is a serious issue that urgently demands a response before the UK reaches crisis point. Something more, something different, must be done to break this cycle and make the street a less threatening place. What is behind this epidemic? Data shows that the number of police officers in England and Wales fell by over 20,000 between March 2010 and March 2018. Media often cites this fall in police numbers and ongoing cuts to police budgets as contributing factors behind the prolific rise in knife crime. Indisputably, a reduced police presence may leave criminals feeling more empowered to freely commit violent crime. Whilst a larger police presence is usually assumed to prevent crime, it is also important to highlight that whatever their numbers, police forces are still reliant on largely retrospective measures, such as 999 calls and CCTV footage, to catch criminals. While these are proven methods of identifying and catching offenders after they have committed crimes, they cannot intercept and prevent a criminal who is intent on using a weapon in the first place. It is also important to recognise the fact that some people can feel compelled to carry knives for their own protection because they are afraid of others doing the same. Whilst we need to identify and disarm dangerous individuals, part of the solution also lies in reassuring these vulnerable people who feel unsafe. In this respect, any preventative solution needs to have a knock-on effect of reassuring people, further reducing the perceived need for knives to be carried. To date, the UK government’s response to tackling knife crime has focused on supporting young people who are either already engaged in violence or are considered to be vulnerable to falling into violence. A key pillar of the strategy has been the formation of the Early Intervention Youth Fund, into which the government has invested £22m. The fund aims to prevent young people from becoming involved in crime by supporting positive activities, often working with community groups to orchestrate targeted interventions. Early intervention and prevention, for example in the form of community support centres and extra training for primary school teachers, are undoubtedly important solutions that should be invested in in to support vulnerable young people and safeguard communities. However, these may be unlikely to have an immediate impact. In the short term, there are relatively few solutions that can take knives out of people’s hands and off the streets. In April 2018, the government published its Serious Violence Strategy, which set out its response to violent crime. In the introduction it is stated that ‘tackling serious violence is not a law enforcement issue alone. It requires a multiple strand approach involving a range of partners across different sectors’. It’s clear that people, policies and products should be combined to create a cost-effective, multi-sensor and layered approach to public security. Existing solutions: what are they and are they working? In addition to early intervention which is usually led by government bodies, schools and local communities, another solution that is most widely deployed by law enforcement is stop and search. Stop and search is, and has been proven to be, an effective method in identifying individuals carrying knives. However, it has also been called out as a catalyst for heightening tensions between police officers and communities, with law enforcement agencies facing repeated accusations of racial profiling. Statistics do suggest an imbalance, but police officers are stuck between a rock and a hard place. The combination of declining police numbers and the dispute over stop and search is making it harder than ever for police forces to combat knife crime in a way that is proactive, successful and non-controversial. Currently, an effective solution doesn’t seem to exist and a new approach to tackling knife crime is sorely needed. Can technology provide a silver bullet? The solution needs to balance a number of difficult priorities. It must be proactive in identifying weapons before they are used and effective at reassuring the group of individuals that have been frightened into preparing for violence. It should not increase tensions in communities that are already hostile and angry, whilst at the same time relieving pressure on strained police resources. It is no mean feat and may seem unachievable to many, but fortunately technology can be a key part of the solution. Emerging technologies, including select technologies in Patriot One’s PATSCAN family of covert threat detection solutions, deploy low power radar and other sensors to detect hidden and visible weapons on people without the need for invasive measures, such as stop and search or metal detectors. Depending on the environment it is protecting, these technologies may take on a variety of forms. For example, in a train station or shop doorway, video recognition systems that are enhanced by AI-powered object recognition software can be used to identify and flag forbidden objects such as knives. Also, in this instance, cognitive microwave radar technology can be used to screen for concealed weapons. If an individual with a knife were to pass through one of these radar sensors, it would alert security officers who could then identify and intercept the individual before they have the chance to use the weapon. This isn’t science fiction. These threat detection devices will become available early in 2019 and are based on the revolutionary use of technologies that have existed for decades – video and microwave radar – enhanced by the power of machine learning. There are huge benefits to using technologies such as this to identify overt and/or concealed weapons. Firstly, it helps to relieve pressure on police from being accused of unfair bias in the stop-and-search process. Instead, the use of radar detection and intelligent algorithms means that the entire detection process is focused on the weapon rather than the individual. The same principle applies with a video camera that is able to recognize a knife when drawn in public view. As a result, any bias is removed from the threat detection process, making it wholly, unarguably non-discriminatory. Secondly, the omnipresence of covert detection, as well as pseudo overt detection from hidden cameras, would be a deterrent to those carrying weapons, whilst simultaneously providing reassurance to an anxious public. Policy makers are victims of what’s available. Violent crime is unlikely to fall without a rise in budgets, increased police numbers or better technology. There is a real opportunity here for scientists, engineers and corporations to become part of the solution and work with the government to craft the tools that can be put in the hands of the security professionals. When adopting new threat detection technologies, transparency and proper legislation are the key to unlocking public trust. In order to do this, law enforcement agencies, government and security organisations must cooperate to cultivate the most effective multi-layered security measures. Only when industry, academia and government bodies work together and combine the most innovative solutions with the people who have the power to implement them, will we see and benefit from real change. Technology must feature as part of the solution to take knives off the streets and make our cities safer. Cross-sector cooperation and technological innovation will prove key to protecting the UK and other nations against the scourge of knife crime.